Stylish dog accessories are on the rise and specialized dog booties for every adventure are yet another boot-iful pick to delight in. Dog boots offer your pups epic protection while they enjoy their adventures and will shield their paws from extreme weather conditions like ice, snow, and extreme heat. They are also great for protecting them against from sharp objects like nails and glass that could injure their paw pads. Dog boots come in a variety of styles and fabric choices and are an easy way to ensure that your pup’s feet remain safe, no matter where you’re walking. 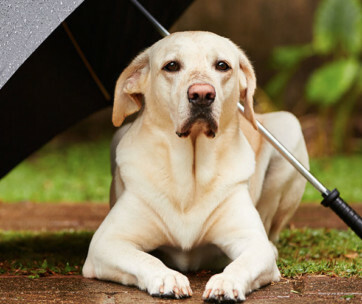 Added to these benefits, is the fact that dog boots stop those muddy paws from entering your home. You simply take them off after your dog’s adventure, and their paws will be as clean as ever! Dog boots are thus a great choice for you, and your four-legged friend. The following list contains 10 paw-some dog boot picks for every style, and every occasion. Whether you have a toy breed who enjoys garden playtime, or a boisterous beast who loves to bound through the forest and explore the great outdoors, we have the perfect choice for you! 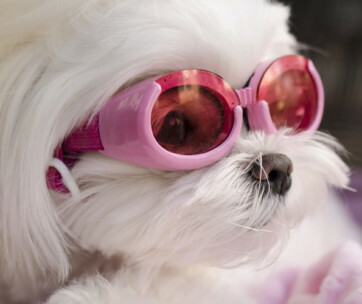 Added to their amazing benefits, is of course the fact that they are totally adorable and will truly make your pup the most chic canine at the dog park! 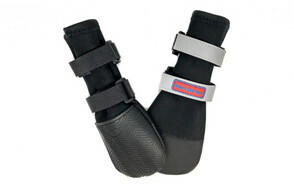 The first pick on our boot-iful list of fantastic dog boots is Bark Brite’s All Weather Neoprene Paw Protector Boots. This wonderful product has been tried and tested by many a dog and boasts incredible quality, with unmatchable comfort and style. The breathable fabric will ensure maximum comfort and won’t hinder your pup’s nature paw movements. These boots are waterproof and will keep your dog’s paws clean and dry all winter long. They are also a top pick if you are walking in very hot conditions and want to avoid burnt paws, or in super icy conditions where frost bite may occur. Each bootie comes with two reflective Velcro straps for enhanced visibility and a slit backing for easy adjustment. This pick is also tough and durable and has a non-skid rubber sole for those off-the-beaten-track adventures. This brand amalgamates value with quality and certainly won’t disappoint you or your pooch. It also comes in five different sizes and is thus perfect for all sizes and breeds. Number three on our list is a fabulous pick by Qumy. These waterproof boots for large dogs are a must-have for those adventurous pooches and have a tough anti-slip sole to ensure extra stability and traction. These booties will protect your pup from cold and hot elements alike and keep sharp obstacles like thorns, or stones from hurting their paws. Made from high quality fabric, Qumy’s shoes are perfect for bigger dogs who love adventure. They can handle tough outdoor conditions from forests, to trail runs. These are great for those super active four-legged friends in your life, but they certainly don’t skimp on style. Each bootie has a beautiful paw embroidered on it and thus your best friend will also look totally stylish and cool on every walk! This model comes in 4 sizes and will make every walk an epic adventure. These ultra funky and bright boots are a fantastic pick for those stylish pups who love to go on adventures and do so in serious style. The waterproof material is sure to keep their paws warm and dry all winter long and they can handle rain, snow, or icy conditions. The durable soles are great for any outdoor expedition and protect paw pads from thorns, sharp objects, and anything that could injure them like burning hot roads. These are super easy to put on and take off and thus won’t hurt your pooch at all. These are a great solution to any obstacles hindering your pup’s paws and bring amazing quality, durability, and value to the fore. Users have commended this brand for their wonderful customer service and have noted that they truly are the cutest dog boots in town! Their bright color means they created extra visibility and thus your pup will never be hard to spot no matter the weather. This color truly brings sunshine to those rainy days! Next up are the paw-some Wuxian Waterproof Dog Shoes. This amazing pick is made from durable and water-resistant material to ensure that your pup can explore even the hardiest of outdoor conditions. The anti-slip soles provide extra stability and comfort and ensure that your fur-baby can retain traction on even the most tumultuous of paths. Whether they are walking through the forest, on tiles, or sand, these booties offer them awesome steadiness and reliability all day long. They are also super lightweight and compact and thus won’t hinder your pup’s walks with excess weight and hassle. The wide split seem opening is an added feature for extra convenience and means that you won’t have to spend ages putting them on and taking them off. Added to this handiness and top quality are their beautiful design. Each dog boot has a beautiful embroidered yellow paw on it and truly boasts gorgeous style. Number four on our kicking list are an awesome set of boots by My Busy Dog. These boots are super rugged and durable and are the perfect choice for even the most adventurous of pups. The tough waterproof sole offers absolute stability and great traction while your pup explores the great outdoors. This strength is perfect for hiking, trail runs, and forest expeditions and is able to withstand all those tough natural elements. They are also ideal for super-hot weather conditions and will stop those burning pavements from injuring your pups paw pads. Remember, if the road is too hot for you to walk on barefoot, it’s too hot for your dog. Adjustable and reflective fasting straps also make them super easy to put on and take off and mean that they embody absolute safety in even the gloomiest of conditions. This pic truly boasts amazing quality and won’t disappoint you or your canine companion. Thanks to their grip, these boots can also offer added mobility and stability to pups who struggle on hard wood or tiled flooring. They come in a range of sizes and are thus perfectly suited to all breeds. Lucky number seven on our list of best dog boots is a fab pick by Canine Equipment. These amazing and hardy boots are sure to protect your pup’s paw pads from the elements and sharp objects alike. The soles are made from durable recycled rubber to improve traction and the outer material is comprised of a breathable shell for added comfort and ease. The front and back boots are sized slightly differently to provide an ultimate fit and each set of these paw-tastic boots also includes a specialized bag for easy transport. 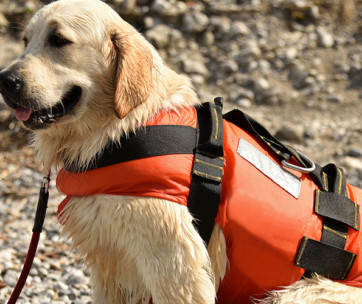 This brand might be a little pricier than our other top picks, but it truly embodies amazing quality and is the perfect choice for seriously adventurous doggies who love to bound through the great outdoors. Whether they are gliding through snow and ice, or traversing burning hot pavements in the height of summer, these astonishing dog boots will protect them every step of the way! Ultra Paws pride themselves on offering ‘maximum protection for hard charging dogs’ and these amazing dog boots are perfect for all those adventurous days out. These amazing booties are a superb pick and their super durable soles are made from recycled rubber tires. They are a great pick for active pooches and environmental advocates alike. Whether your pooch is navigating those hot tar roads in the concrete jungle, or snowy mountain tops, Ultra Paws have you covered. They are also water resistant and thus perfect for rainy conditions. Specialized Velcro straps lock these amazing dog shoes in place so that they won’t fall off on even the ricketiest of roads. Ofcourse you can take these boots off with no problem, but your dog certainly can’t! This product truly boosts quality, durability, and epic style and won’t disappoint! Paws and their totally paw-some disposable water-proof dog boots are the perfect pick if your pup is the totally active sort and this paw-some pack comes with 12 disposable/reusable doggie boots. 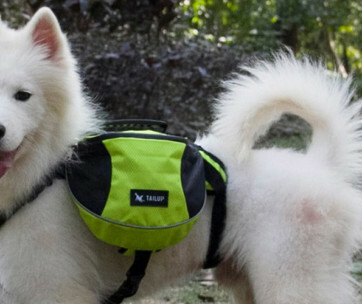 If you have a few pooches and are planning an active adventure, then this is a truly economical and practical purchase. These dog boots are made of 100 % rubber and super lightweight and compact. They therefore won’t hinder your dog’s paw movements or mobility. Users have noted that these are super easy to put on and take off and so lightweight that your pups hardly notice them. These are a fab pick if you don’t need boots for daily use and want to save them for the adventure trail. Pet lovers have also noted that this pick is great for supporting mobility when pups struggle to walk properly on hard wood or tiled floors. They are anti-slip and a truly awesome pick! The final pick on our totally awesome dog shoe list is by Fantastic Zone. These gorgeous red and black winter boots are a total show stopper and are the perfect addition to any outdoor adventure or hiking trail. These stunning booties are made from durable water-resistant material and have awesome skid-proof soles to ensure extra stability and traction. These super comfortable dog shoes will keep the extreme elements from hurting your pup’s paws but are also comfortable enough to enable them to adventure without restriction. These are super lightweight and compact which adds to extra comfort. They are also machine washable and won’t bug dog parents with loads of maintenance. This brand combines funky style, with epic quality and will add comfort and style to all your outings. 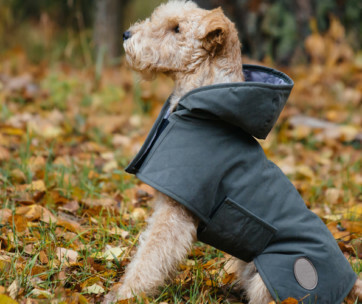 When you opt to buy dog boots you need to consider a few things such as sizing, fabric choice, and the weather conditions they will be navigating while wearing their boots. It’s super important to measure your dog’s paws before ordering them their booties. 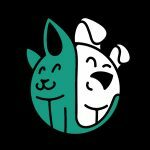 While most brands will come with a sizing chart, each dog is unique and taking their individual measurements will guarantee you a happy pup that is super comfortable. Boots that are too tight can cause pain, and impede their walking, while boots that are too big could easily fall off and get lost. First things first, you will need to measure your dog’s paws. Grab a blank sheet of paper and place your pup’s paw on it. Using a pen or pencil, draw either size of the paw while your pup’s weight is on it. Draw from the widest point and from the tip of their nails to their heel. If your pup’s measurements are between two different sizes, always opt for the slightly bigger boot as a boot that is too snug could cause them discomfort and hinder their walking ability. If you live in a predominantly rainy and cold area, you will need to invest in booties that are waterproof and insulated. This will keep your pup’s paws protected and warm all winter long. If you live in a predominantly hot area where temperatures sky rocket, you will need to invest in booties with breathable fabric so that you pup doesn’t over-heat and feel uncomfortable. Whatever the condition, you want to opt for high quality, durable brands that won’t break at the first sign of adventure. Protecting your dog’s paws from extreme weather conditions like ice, burning hot pavements, rainfall, and snow. Protecting your pup from stepping on sharp objects like broken glass, thorns, metal, or nails. Keeps their feet dry and mud-free. This means less mess when you get home and no traipsing of dirt and mud through the house. Can offer traction and stability for pooches who have mobility issues and struggle to walk smoothly on tiled or hard wood floors. Treating bruised or cut pads will depend largely on the injury. In cases of severe injury, it is always best to take your pup to the vet as they might need more critical medical care or medication. Cut and bruised pads can be very painful for your dog, so it is important that you give them enough rest and treat the wounds appropriately. Q: How much hiking or running is too much on a dog’s feet? Changes in their behaviour – If your pup used to love adventures and suddenly doesn’t want to hit the trail, they might be feeling exhausted. Q: How can you tell if a dog’s feet are sore or injured? A: If your pup has injured or sore feet you will know. They might walk with a limp, they might wince or make a noise when they out weight on their paw, or they might be reluctant to walk. If you notice this it’s important to examine their paws and check for injury, or an obstruction like a thorn. If you are unable to see any visible injury, it could be an internal issue like a sprain. Always consult your vet if the problem persists as it could be the sign of a far more serious medical issue. Q: How do I get a dog used to new boots? A: While some pups will immediately adore their new stylish boots, others might take a while to get used to them. Sometimes you’ll put them on your dog’s feet and they just won’t move. You need to encourage them to walk with their boots on. Pop them on when your pup is outside and throw them their favorite toy or encourage them with delicious treats. Like everything pet-related, you will need to invest patience and time. 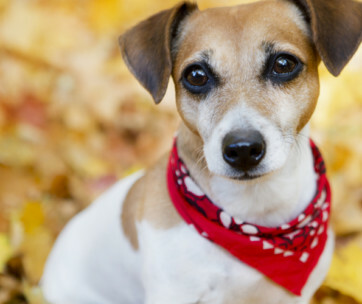 Q: My dog walks funny or refuses to walk while wearing boots, is that normal? A: Imagine someone suddenly put a pair of high heels on your feet and expected you to walk like a pro in a second? You would laugh at them! Much like humans, dogs will take a while to get used to knew experiences and dog boots are just the same. It will take practice and time to build your dogs confidence when wearing their boots. Start off slowly by putting them on when they’re in the garden, or on a flat road and as they build up their abilities to wear them comfortably, expand their adventure repertoire with their dog boot sidekicks. It’s also important to remember that a dog walking strangely in the boots could signal a sizing error. Boots that are too small could cause discomfort or pain and hinder their walking ability, as could boots that are too big. Ensure you consult sizing guides and that you measure your dog’s feet before investing in dog boots. While we adore all the boot-iful boots on our list, we’ve gone for Bark Brite’s All Weather Neoprene Paw Protector Boots as our favorite pick. This awesome product has been tried and tested by many a dog and boasts incredible quality, with unmatchable comfort and style. The breathable fabric will guarantee all-out comfort and won’t hinder your pup’s natural paw movements. These bad boys are also waterproof and will keep your dog’s paws clean and dry all winter long. 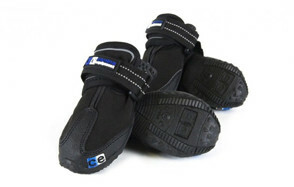 Each bootie comes with two reflective Velcro straps for enhanced visibility and a slit backing for easy adjustment. These dog boots are also tough and durable and have a non-skid rubber sole for those off-the-beaten-track adventures. This brand amalgamates epic value with gorgeous quality and certainly won’t disappoint you or your pooch. It also comes in five different sizes and is thus perfect for all different types of pooches. It truly is a great pick and one we know you will love!